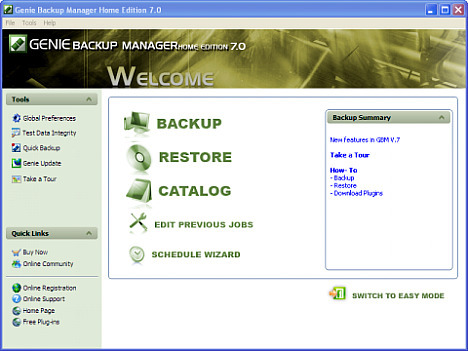 Genie Backup Manager is a powerful comprehensive utility software which can be used for backup and recovery of valuable data, email, media, scheduler, exe file, and much more. This application is user-friendly with a simple interface and step-by-step wizard allows users to backup photos, media, email, and personal files or folders to keep them in a secure location. With Genie Backup Manager Home, users can safeguard the data from natural disasters and system failures to secure offsite storage location. In addition, Genie Backup Manager Home Edition also comes with data protection, bandwidth throttling, AES encryption, and support for ZIP password. The program has been designed to handles scheduled and manual backups with ease, and can even purge to backup media of old backups on a regular schedule. Visit the registration page at http://www.genie-soft.com/magazines/pcpro.aspx. 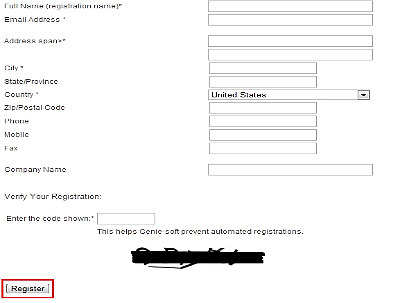 Fill in the name, a valid email address, and other required information, and then click on “Register” button. 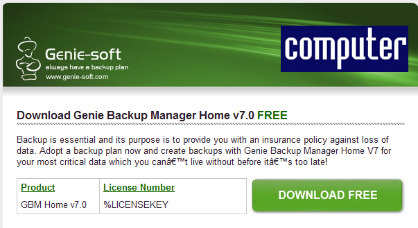 An email from “Genie-soft” with the license code and the download link for Genie Backup Manager Home V7 will be delivered to registered email inbox once form is submitted. Install the Genie Backup Manager Home V7 and use the serial key code to register and unlock the trial to full version program.